Under the pressure of rising interest rates, gold is breaking down again as the chart shows below. It is a Bear market. No buy there. Wait until support forms. Gold broke support and is falling again. 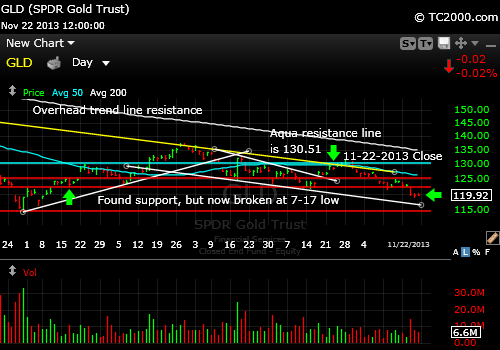 This entry was posted in investment, metals and tagged gld, gold etf, market timing. Bookmark the permalink.